It was a weekend we would like to forget as a senator, Gyang Dantong, and the Majority Leader of the Plateau State House of Assembly, Gyang Fulani, were killed while attending the mass burial of about sixty four victims who have earlier been murdered by men suspected to be Fulani herdsmen in Barkin Ladi and Riyom local government areas of the state. About fifty victims who were mostly women and children were burnt inside the residence of a local pastor where they had taken refuge following the attack on about 14 villages. 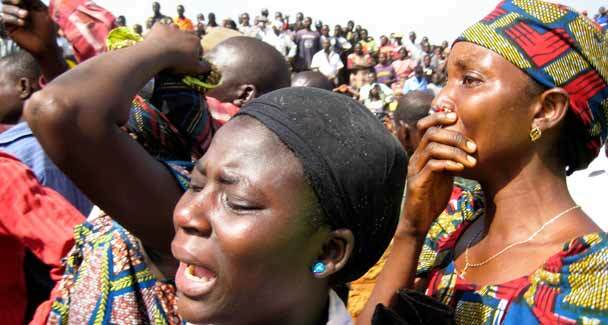 The pastor of the Church of Christ in Nigeria (COCIN), Maseh, including his wife and three children, were among the dead. As the mostly charred remains of the dead were being interred in a mass burial, the attacker returned to complete their crime. By the time dust settled, several mourners, among them, Senator Gyang Dantong were murdered. One of the persons shot dead was the Majority Leader of the Plateau State House of Assembly, Gyang Fulani, who represented Barkin Ladi Constituency. The number of those killed during the attack on mourners at the mass burial site was 20, but eye-witnesses put the total number of victims to about 104. Ruwang Dantong, the senator’s brother, however told the News Agency of Nigeria (NAN) that his brother did not die of bullet wounds but of cardiac arrest after seeing several of his kinsmen lying dead. He died of shock. “The Chairman of Barkin Ladi, Emmanuel Loman, escaped the attack because he left in an advance party to the next site of mass burial. It was at the end of the mass burial when people were about to depart that the gunmen struck, opening fire on sympathisers,” an eye-witness said. According to The Nation reports, the Fulani gunmen divided themselves into five groups attacking several villages including Kakuruk, Kuzen, Nqyo, Kogoduk, Ruk, Dogo and Nyar. They were said to have dressed in bullet-proof vests and military camouflage uniforms. The Special task Force (STF) in Jos, “Operation Safe Haven”, said its men killed 21 of the gunmen who launched the Saturday attacks. The STF, in a statement by its media officer, Captain Salisu Mustapha, said it however lost two of its men to the attackers during a gun duel that lasted for hours. The STF said: “The attackers, who were heavily armed with different assault rifles and some of them dressed in camouflage uniforms with bullet-proof vests, killed about 14 locals and burnt several houses. STF personnel went to the scene to bring the situation under control, but the gunmen engaged them in a gun duel that lasted several hours. “In the process, the attackers killed two of our men, but we killed 21 of the assailants. One arrest was made and some weapons and ammunitions recovered by our men. A claim vehemently disputed by Emmanuel Loman, the chairman of Barkin Ladi Local Government where the attacks took place, claiming gunmen were still shooting from behind the hills and rocks. Loman said: “The challenge now is that of adequate security. The security men available are not enough to secure the villages, and the gunmen are still lurking around.